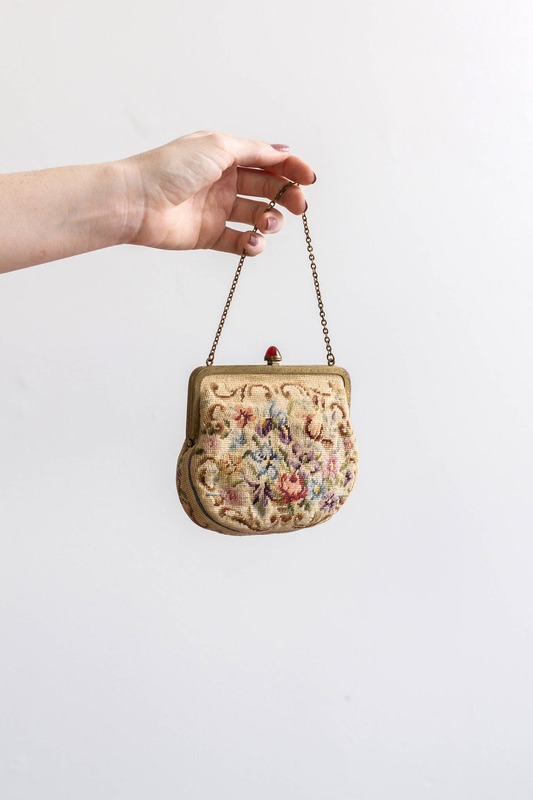 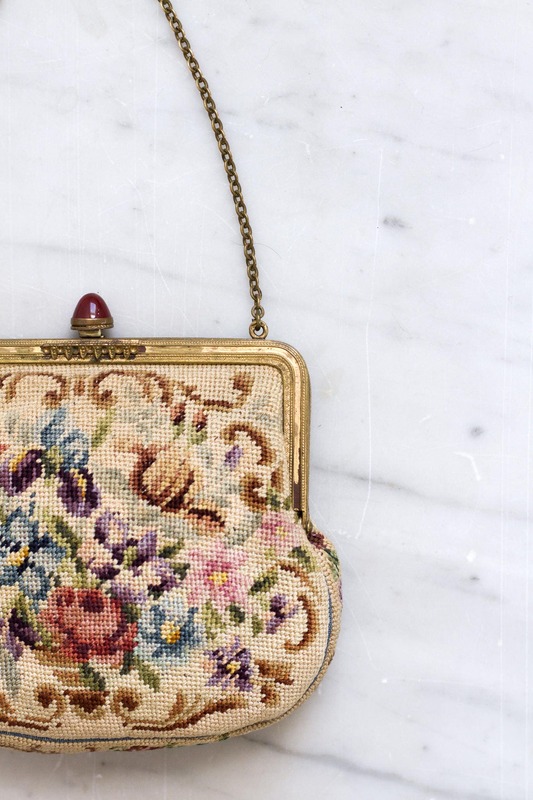 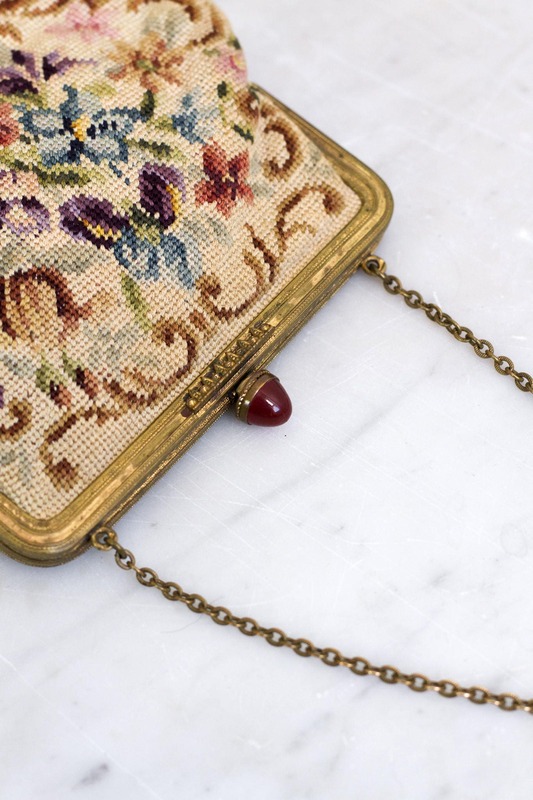 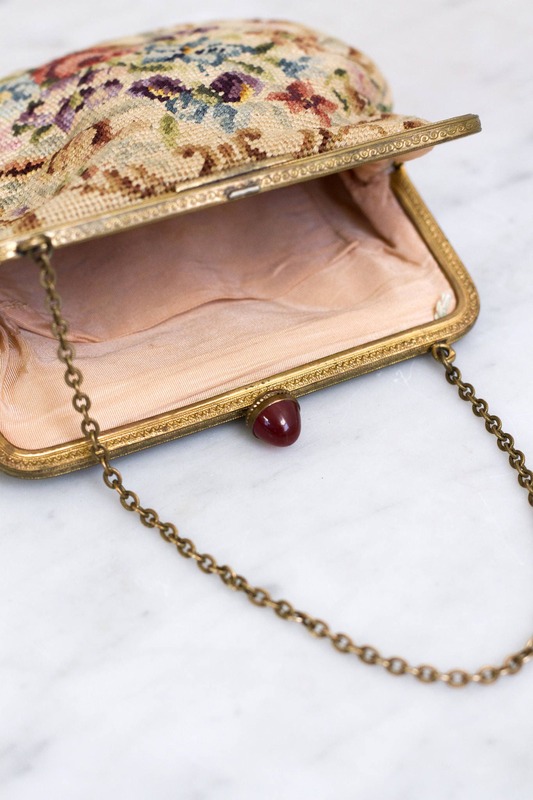 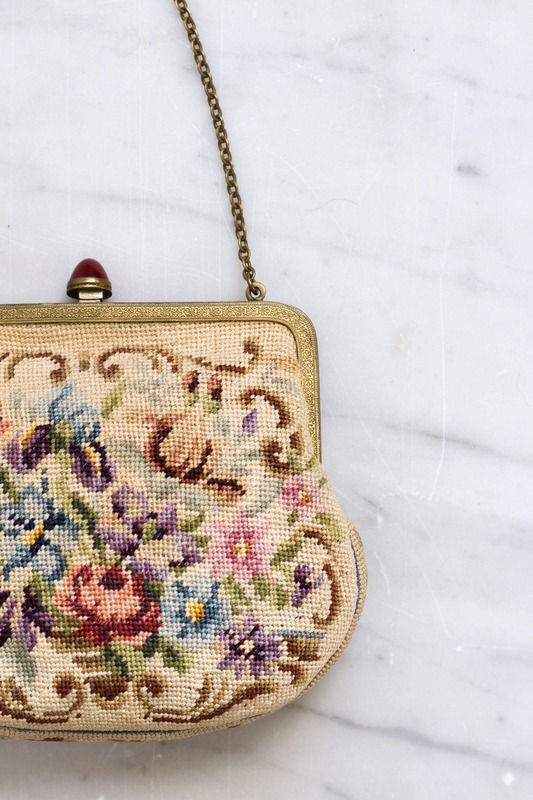 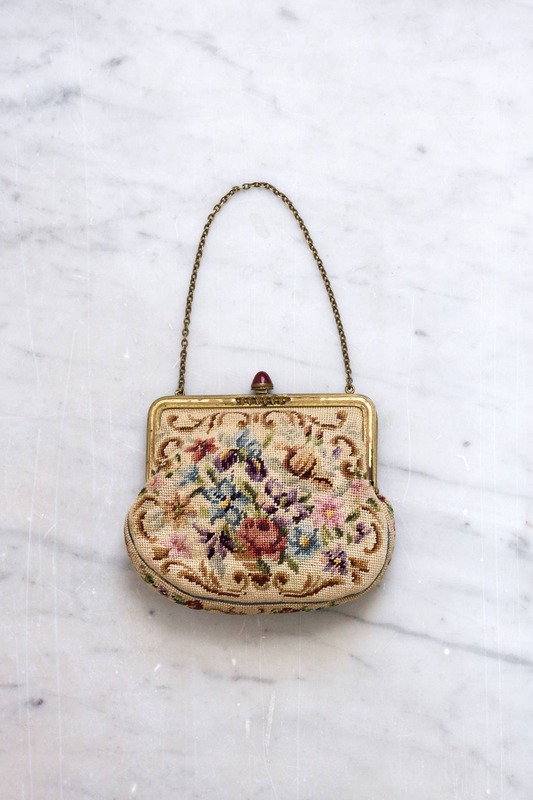 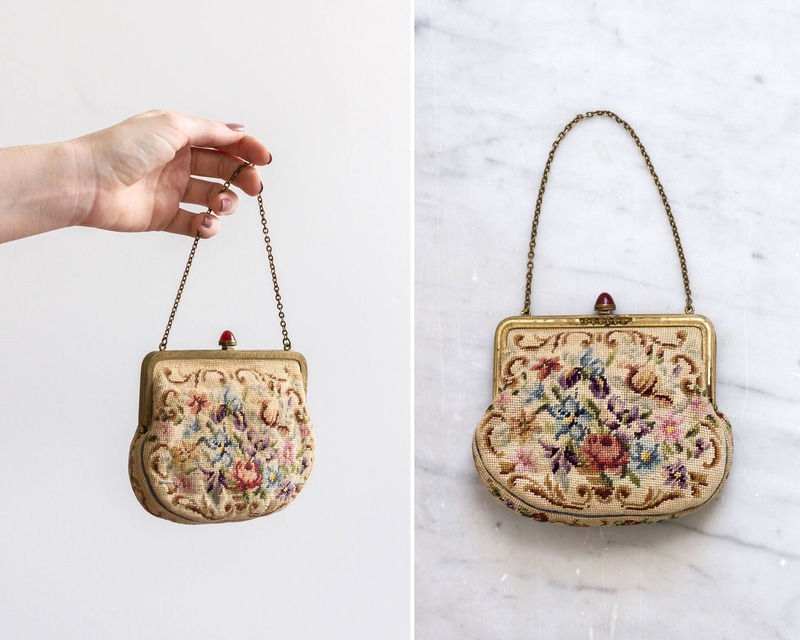 Vintage 1930s floral needlepoint purse. 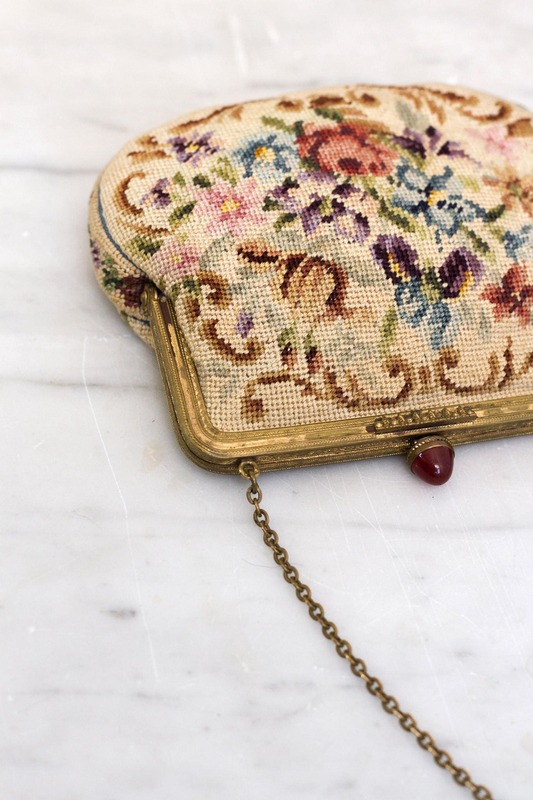 Primarily antique white in color with a lovely muted floral petit point on both sides. 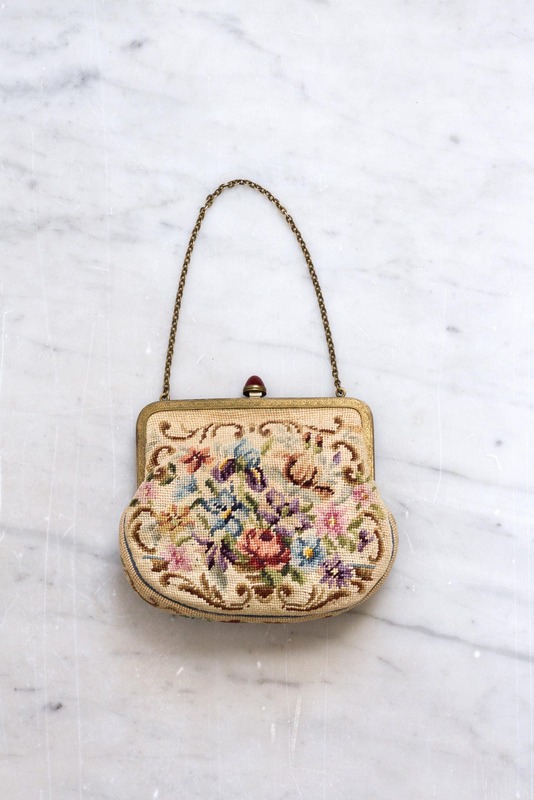 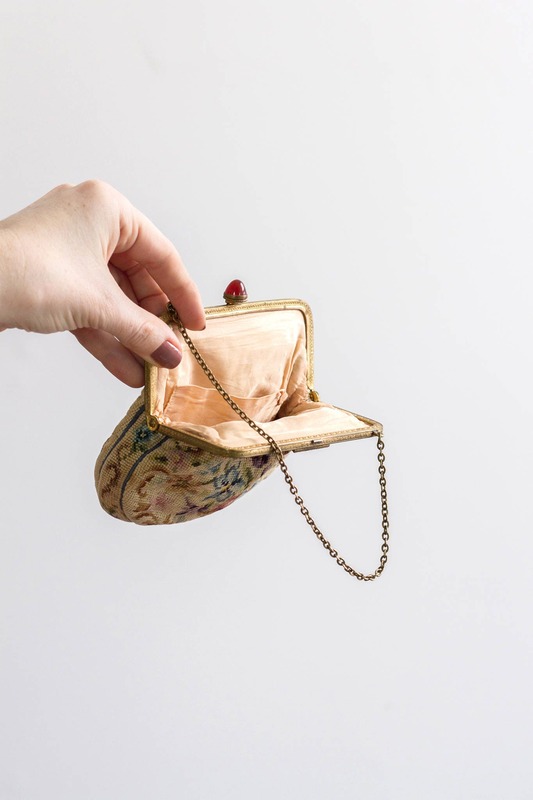 Has a detailed bronze hinged frame and clasp, chain link handle, pale peach lining, and an inner side pocket.